It is that time of year again (at least in the northern hemisphere) where every time you turn around there is another person coughing or sneezing. 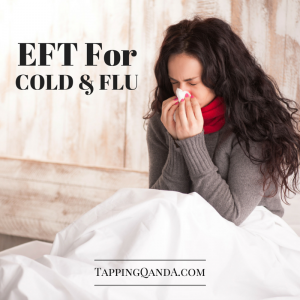 I have found tapping is a great way to keep these seasonal bugs at bay and to help to get healthy once you have gotten sick. This week I have the tapping script I use to get and stay health. I have provided both a pdf and audio of the script. Please feel free to share these as far and wide as you would like. 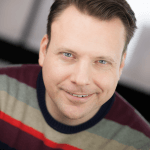 Download the tapping script pdf! 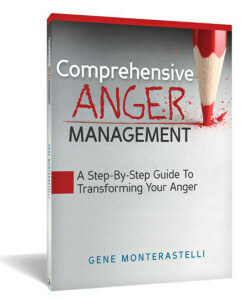 Hi Gene – Many thanks for this timely resource. I have an elderly friend who has an auto-immune condition and was wondering if you feel this would be alright for him to use anyway. He has no computer but enjoys tapping and I do not know whether to remove the parts about the immune system in case it over-stimulates or are your words chosen to avoid this – or will the system itself not heed anything detrimental? Thank you for the pdf to download! Besides helping me I can see it helping a foster dog with immune issues. Thank you. 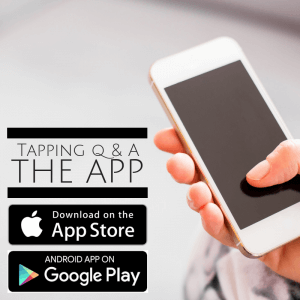 I’m new to tapping thanks to Jon Gabriel’s free screening and interviews in December 2017. Actually, I’d heard of tapping as long as 10 years ago, but it wasn’t until this fall, that the term and what not kept reappearing in my life. I’m taking it to heart. I’m slowly working my way through the 10 part guide via email and this podcast came through the email, too. I just did my second session with this script. I have haital hernia that my chiro puts back when I visit him. I literally could feel things shifting. That’s not to say, it’s fixed, but just the feeling of it my ribcage being affected. Plus this evening, I had to shovel some heavy wet snow and I know my back isn’t appreciating that. This in general I think is helping too. Finally, working in a school with young and often sick with flus children, I will be using this script often! I’ve shared it with a colleague who has been suffering recent health issues. She has been tapping for 10 years already! Wow!